I know most of you will be absolutely amazed at this but in my state of Georgia, many school systems will have their teachers returning today and in my district, students start this Friday! Of course, this means they will all be out and enjoying the summer by Memorial Day next year. But wow, what happened to summer! Whether you will be starting back this week or not, I am sure you are in the throes of getting ready for those staff members, parents, and students! There is always a purchasing frenzy as well as last minute hires! I remember one year many years ago when I did a purchase order for Enfamil and the business department turned it down. I had to go and explain we had a new student coming in and not only would we be purchasing the Enfamil but also diapers. We don't have to fight those battles now — we have come a long way. Speaking of summer fading fast ... SPECIAL NOTE TO CASE BOARD OF DIRECTORS! Every year CASE invests heavily into bringing our Board of Directors together for a 2 day meeting. This meeting is an important way to ensure CASE is meeting the needs of our members! CASE requires our 41 state and provincial subdivisions to complete an annual report and for that, CASE will pay for the airline ticket and one night of the hotel for the subdivision to send a representative to the Board meeting. Typically it is the president but some of our units send a different representative. And if the person who is designated cannot attend, we always encourage the unit to send someone else so we can have as representative a group as possible. This year, Emilie Maule has made it even easier to do the annual report through an online submission. The Annual Reports were due June 30 but of course we are still accepting them. But, with the fall conference and the fall Board meeting being held in September, it is critical for the reports to be sent in as soon as possible! The airline tickets for the Board meeting need to be purchased soon and to send the information for the logistics, we need the new representative's name and email address! The Fall Board of Directors meeting will be held at the Milwaukee Hyatt Saturday morning, Sept. 24 and will continue on Sunday, Sept. 25. The hotel rooms are sold out at the Hyatt and the rooms at the Spring Hill Suites are going fast so, if you haven't sent in your annual report, please contact Emilie Maule ASAP! Go ahead and get your hotel room even if you aren't sure who will be attending so you can be sure your representative isn't left out! We hope since CASE is paying for the airfare for those units that do submit their annual report that the person will take advantage of being there and will register for the historic CASE/NASDSE conference, too! And for your FREE resource this week... Last week I mentioned the National PTA organization's the Connect for Respect materials. This week I want to point you in the direction of the NCSI website webinars — one you might especially find helpful is the one on "What Counts as Evidence? Making Decisions for Instruction and Intervention within a Multi-Tiered System of Support." I would love to hear your ideas on resources we should share with each other! US Secretary of Education, Dr. John King to attend and speak at the Historic CASE/NASDSE Joint Conference... We are so excited Dr. John B. King, Jr., who is the secretary of education, will be one of our keynote speakers at the joint fall conference in Milwaukee, Sept 25-27. According to the Department's website, in tapping him to lead the U.S. Department of Education, President Obama called Dr. King "an exceptionally talented educator," citing his commitment to "preparing every child for success" and his lifelong dedication to education as a teacher, principal, and leader of schools and school systems. As secretary, Dr. King brings a continued commitment to advancing excellence and equity for every student, supporting educators and elevating the teaching profession, and improving college affordability and completion rates. The Secretary will be giving remarks and will also participate in an interactive session with the participants and members of the OSERS and OSEP leadership. This is just one of the many sessions to not be missed at this historic and collaborative event! The Hyatt is sold out but we have rooms at the brand new SpringHill Suites that is actually connected to the Hyatt by a weatherproof skywalk. So, be sure to reserve your room today with a room rate of $149 this will be a great conference that will also be easy on your budget! The Spring Hill Suites price includes internet and breakfast! To learn all about this conference, the rates, and other important information, download the registration packet or go to the www.casecec.org for all the information and links! Be sure to get registered as soon as possible as you will not want to miss this historic event! The Poll for last week asked when was the last time you contacted your U.S. Senator/Representative. First place with 40 percent was last month. Second place was a tie at 20 percent for 3 months and 6 months. Last place was also a tie at 10 percent for a year ago and never! We need you to start contacting your legislators at least quarterly! CEC has made this very easy for you to do by just going to the Legislative Action Center (LAC). If you forget or misplace this link, just remember to go to the CEC website and then go to Policy and Advocacy and then go to Take Action! So, why not take action today and send an edited letter — make it personal to your state/district/CASE on funding. Let's make sure our legislators know we are always watching! But, don't just communicate to them by asking for things, also tell them about the GREAT things you are doing in your classes, schools, district and state! Be a year around advocate — the students deserve it! Researchers and professionals in the field of educational psychology have developed a variety of proactive and positive strategies to improve student behavior. One strategy is the development of school values and expectations. School professionals need to find salient ways to communicate to both staff and students the standards for behavior that will be expected in the school. Once school professionals explicitly state the expectations through value statements, they should then train staff to teach, model, and shape desired student behavior. Other programs such as Positive Behavioral Interventions and Supports (PBIS) utilize value statements and expectations and note that it is a useful component to improve student behavior. One in five students has dyslexia - that’s 20% of the student population who struggle with reading, writing and spelling. Download our whitepaper and join us for a webinar on why students struggle and how to support dyslexic students in your district. Attendees will receive a CE certificate. Register today! In order to engage in an organization, you have to be a member of that organization! Did you know CEC has three levels of individual membership (Premier - $205; Full - $ 115 ; and Basic - $65; and a specially designed membership for local special education directors? Really the District membership is more like a district professional development package! And of course, you then would need to add the CASE division membership at only $60! Though with the Premier it is only an additional $25 and with the District package, it is included! Think of all the many benefits you get from membership in both of these organizations — Connection to great resources and content, professional Journals, the Teaching Exceptional Child magazine, up to date Policy information, Newsletters, Conferences, collegial networking, overall content from the field and so much more! 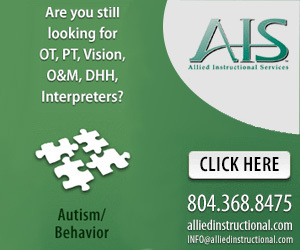 If we are truly the voice of Special Education and Special Education Administrators, we need your voice to be complete! Join CASE/CEC today! How can schools use federal funds for a 'well-rounded' education? Summary: The purpose of this priority is to fund a cooperative agreement to establish a National Comprehensive Center on Improving Literacy for Students with Disabilities (the Center) for children in early childhood education programs through high school. The Office of Elementary and Secondary Education (OESE) is funding this Center; however, because of the Center's subject matter, it will be administered jointly by OESE and the Office of Special Education and Rehabilitative Services (OSERS). Deadlines: Deadline for Transmittal of Applications: July 25, 2016.